map an area with a ground point density of approximately 30 to 40 points per square yard; locating power lines, poles, rail lines, buildings, pipes, curbs, vegetation canopy, overpass/bridge clearances and every other landscape feature within the aircraft’s mapping swath. AXIS GeoSpatial owns a Cessna 206H, Vulcan Air P68C and Piper Navajo equipped with a Garmin G1000 “Glass Cockpit” – the most advanced avionics in today’s aviation. This technology provides our pilots with real-time access to weather, airspace, terrain obstacles, air-traffic, etc., over a sophisticated GPS navigation map displayed on an LCD screen in the cockpit. Having this technology provides a comfortable, intelligent and SAFE environment for our pilots while AXIS is overhead surveying your project. Our aircraft and sensor is equipped with precision AGPS (airborne global positioning system) and IMU (inertial measurement unit) technology. This allows for an accurate survey with less ground survey control. AXIS utilizes a RIEGL VQ-1560i Airborne LiDAR mapping system, IMU and GPS for use in various applications and projects. Highly qualified field personnel consisting of professional licensed land surveyors, licensed pilots and LiDAR technicians operate the system to ensure quality results from each flight. The collection rate of this sensor is 400khz (400,000 laser pulses per second) which means AXIS captures dense point clouds with a relative vertical accuracy RMSE averaging .04’ – .08’. Assisting you in the analysis of HD-LiDAR datasets in ASCII or LAS format, AXIS point cloud data is visually inspected and edited to meet your project requirements. Technicians will go through the LiDAR data and begin the editing and classification of all LiDAR points. Features as small as catch basins, mailboxes, hydrants, and more can easily be collected and delivered in your preferred format. Regardless of point density or accuracy requirements, AXIS has the experience and knowledge to flight plan, field execute, post process and deliver quality LiDAR terrain dataset to you. 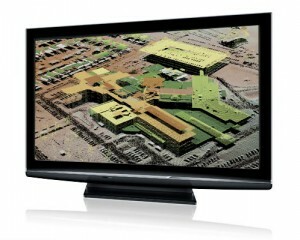 See the detail available through HD-LIDAR today! Contact us today to see a sample HD-LiDAR dataset.